Now enjoy your sexual life with your partner by getting your best product at 25% OFF. 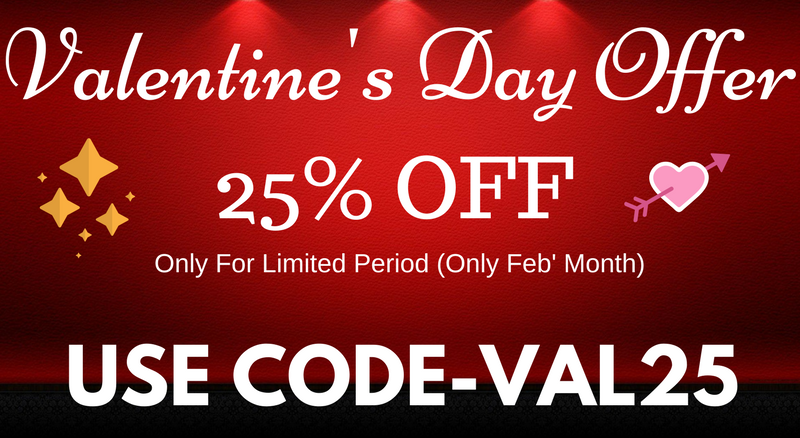 You have to only enter the CODE- VAL25 and you will have a chance to save 25% on each product you buy. This offer is for the entire February month, so enjoy it with your Valentine and get some extra benefit on top sexual products. But also remember that this OFFER is only for LIMITED period (Feb Month). You will not get this offer anywhere else and this offer is only for those customers who buy the products from our website. So don’t wait but GRAB the DEAL NOW and Save 25% on the below listed products. Well, all the products are really awesome and beneficial in their own place as each products works on different conditions. However, you can now have a chance to save 25% on each product you buy. So steal the deal now and enjoy this years Valentine with your loved one with some special offer.